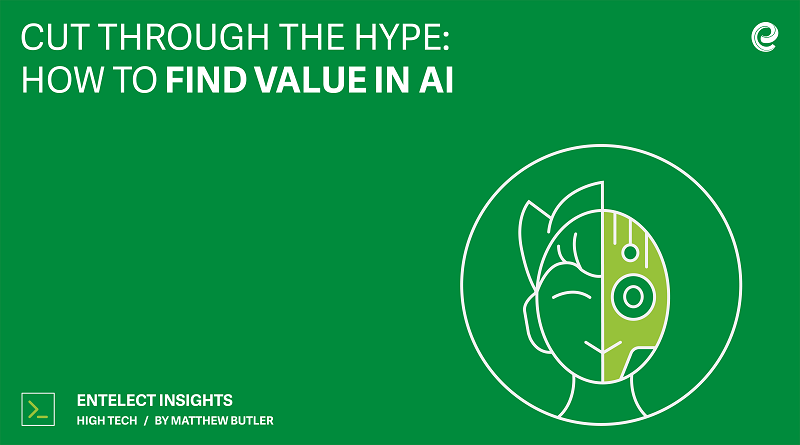 Artificial intelligence (AI) has erupted as an industry trend over the last two years, with a clear confusion about what AI really means to us as consumers and businesses. Are robots coming for all of our jobs? Do we have to prepare for the rise of the machines? I think a key challenge we face, especially as technology experts in industry right now, is to demystify AI for our customers and partners. AI is not a single technology, but rather a number of different technologies applied in different functions through various applications. We need to separate applications of it into layman’s terms, being careful not to follow the rabbit hole with wild ideas, costing lots and changing little. 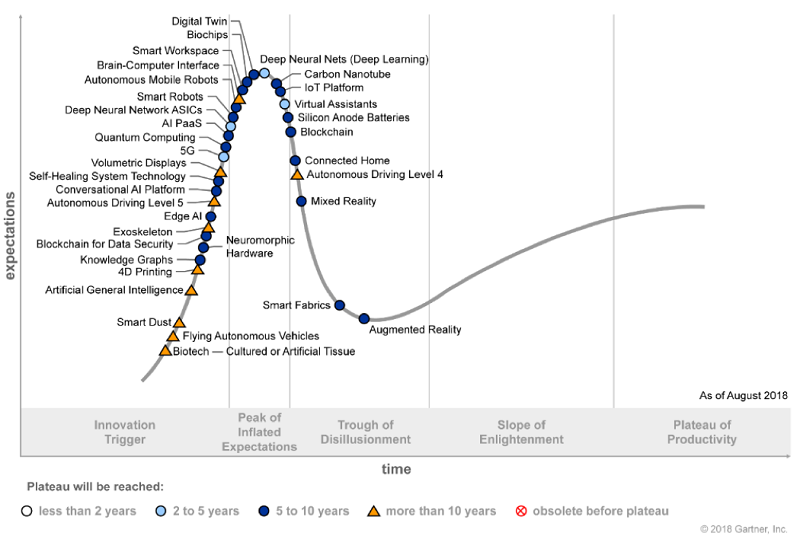 This means there is a small window of opportunity remaining to leverage the AI buzz with executives, customers and other stakeholders before it slips into the ‘Trough of Disillusionment’, making justification for new projects very difficult. So if AI isn’t this magic potion which turns every product into a runaway success, how does one even begin to clarify which ideas within AI have real merit and long-term potential as a new product or upliftment to your business? Leverage AI within strategic initiatives: What are the big ticket items in the organisational strategy? This is where any AI solution should be explored. Don’t lose focus on the mission critical priorities just to introduce AI as a side-line initiative. Understand how the given AI solution will solve a specific challenge: It’s easy to get lost in the case studies and magic marketing, especially from the big players. But ensure there is a set objective which can and will be met. Be critical when weighing up solutions with and without AI: Consider whether there is any material benefit to justify the costs. You might find that a ‘simple’, non-AI solution solves the problem without any fuss. Have evaluations in place: Ensure you are clear about success criteria, and have specific and measurable outcomes in place for the AI components. The benefits of the AI solution should be measurable against the criteria and it should be evident that the product owner isn’t only using AI for the sake of it. Spend time on understanding the AI solution: It is important for businesses to note that the product will be radically different from their usual technological enhancements. Product owners should take the time to research and understand the AI solution, which will enable them to make informed decisions. Whether creating new digital experiences for clients, more accurate predictions, or innovative ways to interact, AI is already changing the face of industries and should be utilised. Ultimately, as a participant in the global technology industry, at Entelect we have a responsibility to help our clients and partners cut through the hype, and find real and impactful applications of AI which can make it into production.